ABS-CBN Lingkod Kapamilya Foundation's Bantay Kalikasan (ALKFI-Bantay Kalikasan) forged a partnership agreement with the Samar Province and selected government agencies in Eastern Visayas to set up the Samar Fellowship Circle. 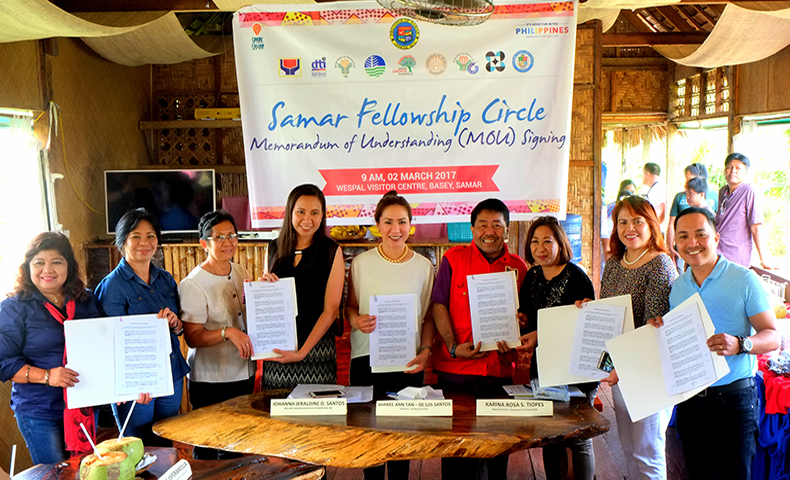 Under the Samar Fellowship Circle, ALKFI-Bantay Kalikasan and signatories outlined commitments aimed at accessing government resources for partner communities in Samar. The members of the fellowship circle - ALKFI, Province of Samar, DOT, DENR, DTI, DSWD, BFAR, DA, DOST and SSU - also pledged to support the province's Spark Samar Development Agenda, which seeks to capitalize tourism resources to improve the local economy. From Left to Right: Corazon Makabenta (DENR Region 8); Elvira Torres (Assistant Regional Director, DA Region 8); Rosella Gopo (Provincial Director, DOST Samar); Jen Santos (Bantay Kalikasan Program Director, ABS-CBN Lingkod Kapamilya Foundation); Sharee Ann Tan-De los Santos (Governor, Province of Samar); Restituto Macuto (Regional Director, DSWD Region 8); Karina Rosa S. Tiopes (Regional Director, DOT Region 8); Meilou Macabre (Provincial Director, DTI Samar); and Rendentor Palencia (Samar State University). ABS-CBN Lingkod Kapamilya Foundation, through Bantay Kalikasan and Operation Sagip, assists people’s organizations in Samar to set up or boost livelihood projects in ecotourism and organic agriculture. These projects are located in the Samar towns of Santa Rita, Basey and Marabut.